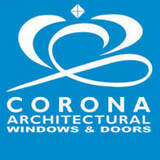 For over 25 years, Corona Architectural Windows & Doors Inc. has successfully served the construction industry, architects, contractors, and home-owners with standard and custom products. 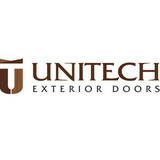 Our specialities include Grand Entrance doors, Bi-Folding doors, custom millwork, and various custom wood products. Our years in the industry, combined with our skilled wood-working technicians, ensure a flawlessly tailored and breath-taking final product. Dundas WoodWindows & Specialities Inc. In 1962 Hermano Pereira immigrated from his native Portugal and found a job in a local wood window manufacturing plant. His passion for the window and door industry was born. After a long successful career with one of Canada’s leading window manufacturers, Hermano opened Dundas Woodwindows in 1985. 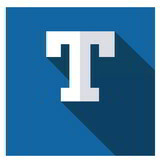 Since that time our family business has been proudly serving the GTA with a blend of knowledge, expertise, and industry-leading products. Our friendly and knowledgeable staff work hard to make your window and door selection a positive experience. Relax knowing that we have years of experience and can handle any size project. Manufacturer of exterior/interior wood doors and moldings The Doorland Group is an industry leader that creates custom wood stile & rail doors, MDF fire rated doors and wood mouldings. Each of our five divisions offers specialized door products and services for both commercial and residential applications. Our Divisions • Custom Solid Wood Stile & Rail Doors • Custom MDF, 20, 45, 60 & 90 Minute Fire Rated Doors, up to STC 36 • Custom Solid Wood Mouldings • Hardware • In-House Automated Factory Finishing There are several factors that make our doors unique. Not least of these is our ability to interpret any and all design plans in ways that express our clients’ vision. Size, shape, color, finish, any element of our doors, can be adapted to blend with the chosen décor. Combine this ability with our superb craftsmanship, state-of-the-art machinery and software and, of course, the generations of knowledge that go into each piece we produce, and you will understand just how we have achieved our unrivalled reputation. Craft Door has designed and built distinctive interior and exterior solid wood door solutions available to the luxury home market. Every door is designed and built to meet the needs and specifications of the architect, designer, builder, and home owner. Solid wood constructions of the finest wood species such as Mahogany, Poplar, Cherry, Maple and Oak are used in the design and manufacturing techniques to translate the customers vision into reality and the result is a functional work of art. When it comes to manufacturing custom interior and exterior wood doors, Royal Doors’ reputation is as solid as the product they produce. At Everlast Windows and Doors, we feel windows and doors are an investment in your home. We put all our energy, enthusiasm and experience into choosing and installing products you'll treasure for years to come. The Everlast philosophy is built around three simple ideals: quality products, professional installation and responsiveness. We're committed to giving you cost-effective solutions for your window and door needs and the excellent service you deserve. Our service commitment has resulted in repeat business, referrals and long-term relationships with many clients across the Golden Horseshoe. For a free estimate and consultation, please call us at 905-318-5722 or Toll-free 1-877-318-5722 or email us. Specializing in interior finishing, Sherwood Trim & Doors Inc. has been doing custom homes since 1995. With 15 years of industry experience Sherwood Trim and Doors Inc. provides quality products and professional services in Doors, Trim and Hardware installation. For years, we've created extraordinary window and door designs for homes across Toronto, the GTA, and even down in the Caribbean. We use the finest materials, the most environmentally friendly construction, and the best installers to bring your dream home to life. There's more to buying windows than just measurements and environmental standards. The technology, design and possibilities available to you today are far beyond anything homeowners could imagine just a few years ago. We're here to help you discover all you need to know about choosing the perfect windows and doors for your home... and how to ensure you're getting full value for your investment. Elba Windows and Doors uses only the finest Energy Star-rated components in the window and door systems we manufacture – right in our Mississauga, Ontario plant. When you buy direct from the manufacturer, you not only get the finest quality window and door systems, you can also be assured they are installed with the ultimate care and precision. Homeowners and quality builders across Toronto, Mississauga and Oakville choose Elba and recommend Elba windows and doors to their good friends, neighbours and relatives. When you are looking for a high efficiency vinyl window or insulated fiberglass door or steel door that is specifically engineered and designed for Toronto, Elba manufacturing is a trusted name. We know Toronto – we live here too! Low-E, argon, and Thermal Edge Spacer-bars is only the beginning. Visit our factory to see windows specifically engineered for triple-glazing. When your friends tell you about their dramatically warmer home, trust Elba Windows and Doors. Elba Windows and Doors uses only the finest Energy Star-rated components in the window and door systems we manufacture – right in our Mississauga, Ontario plant. When you buy direct from the manufacturer, you not only get the finest quality window and door systems, you can also be assured they are installed with the ultimate care and precision.